May 2015; the defining moment of change for Nigeria. A new president sworn in, the president of the people, the chosen one. The exhilaration that came with the fact that power now lay in the hands of Nigerians to make or break a ruler!! Nigerians felt we had a choice! January 2016; a more sober Nigeria. A Country faced with realities it never envisaged the full scope of. As I am wont to do, I state clearly that I am no political pundit or analyst or soothsayer. This piece is not an attack on Nigeria or its leaders. For those familiar with my style of writing, it is a call for introspection. Today, I am a mere citizen of Nigeria with a Law degree. What is the Law? Simplest definition: A system of rules to which every individual within a society is to abide by or else face punishment or reprieve from the government or appropriate enforcement institutions. What is a Society without Law: Chaotic, Demoralised, and Disorderly. What is a Society whose Government does not know the Law: Empty. Directionless. When some of us cast our votes in 2015, it wasn’t because we felt the Messiah had come but more like the end of Pharaoh had come. We had reached our wits end. We did not see the light at the end of the tunnel but we saw an opening with hope that if we ventured, we may see a light at the end. I will not say the leadership so far has been dismal, there still exists peace in a majority of the country. What I will say is that more is to be expected. 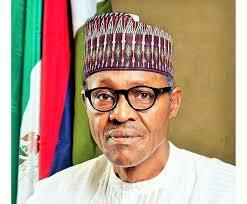 The fight against corruption, though commendable, cannot be the only defining moment of this administration. The leadership cannot underestimate the value of taking the pulse of the people. This was a strategy employed pre-campaign but has been discarded at the achievement of the much sought position; that is not a wise move. It is not a wise move because, as much as the government is burdened with the responsibility of making the laws, a large part of Law creation, execution and enforcement relies on the People. The missing part of my earlier definition, I make bold to say is: The Law is the People, The Law is made by the People and for the People. We fail to recognize the circle of life we live in- The president of today was once a boy who came from a humble background. He was not ‘destined’ to rule but shaped by the annals of society and guided by his path in life, he is the president of today. So also every leader in Nigeria today. So the little boy who was raised yesterday was raised with a set of values and, most importantly, an awareness of what obtained in the land. Before I veer off course in my rant, what I simply mean is a healthy understanding of the Law and a commitment to abide by it will pay off dividends that are immeasurable in future. Bringing it home, if I am the Law, I will do all in my power to protect myself, to protect my interests and those around me alike. I will have a consciousness that in the position of a follower or a leader, my utmost goal is to uphold the law. I will not, as a leader, feel I have the utmost right to trump the decision of the judiciary as I am not given that right by law (the detention of the former National Security Adviser, Sambo Dasuki as well as the leader of the Indigenous People of Biafra). I will not desist from following due process in the prosecution of my duties. I will not bring out directives without full consideration of its effects on the citizens (Effects of CBN directives on Nigerians in Diaspora). This is the basis upon which every Nigerian should never take for granted the value of knowing the Laws of the Land for himself/herself and the generations to come. We cannot continue to tow the path of ‘anything goes’ in this great country. ‘Anything’ does not go; the 1999 Constitution of the Federal Republic of Nigeria is for EVERY Nigerian, not for only the educated, or the wealthy, or those in leadership positions. It is for everyone. The sooner it sinks into our consciousness, the less we will have to talk about in our society. Only then can we foster a healthy society.